As Michael Jackson's Thriller song plays in the back ground, you know the ghouls are out tonight and hungry and what better way to feed those ghoulish hungry little onsters that with some great healthy alternative party food. Now don't get me wrong I love a and can easily gbble up some beastly party cocktail sausages, heck i'll happily eat a 24 pack, freshly cooked from Sainsburys but I thought this year, why not scare the living daylights out of the kids and make some crazy healthy treats with a scary Halloween twist. These fab stuffed peppers very fun and sure to scare the pants off your party guests, i've stuffed these beauty some with vegetable fried rice and others with a warm cous cous salad. They are super easy and quick to make and you can get your little helpers to help stuff them. 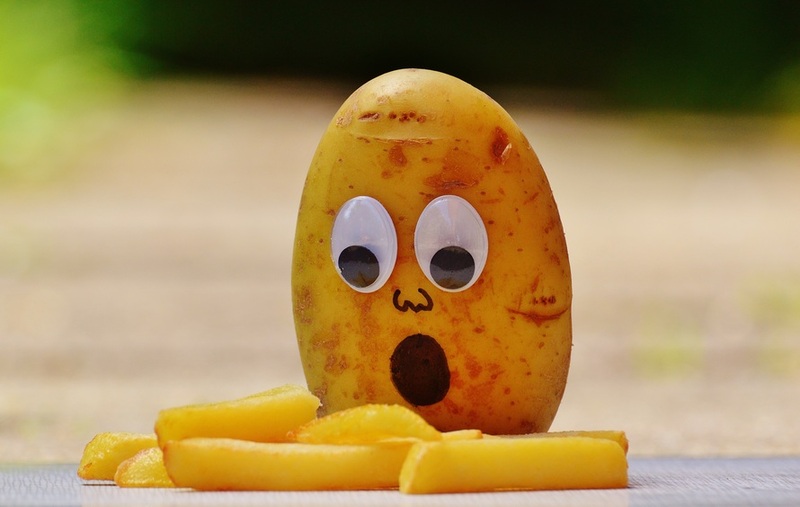 Be it sweet potatoes or normal potatoes, these are always great for the kiddies to gobble. Preferably bake them as they are way more healthy then to having them fried. 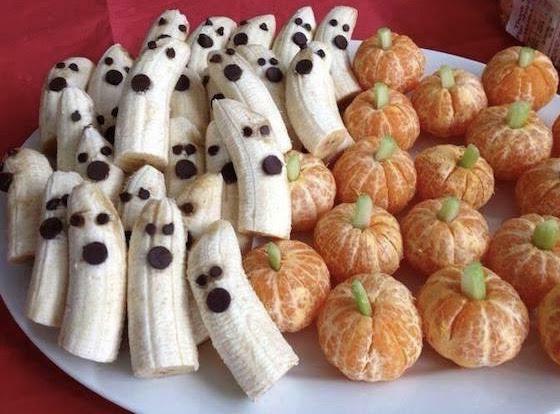 Keeping in to the ghoulishly healthy party food option, one with a sweet treat twist why not use some small chcolate buttons or what I actually wanted to use but ran ot of is rasins to make a scary ghost face to jazz up some bananas. 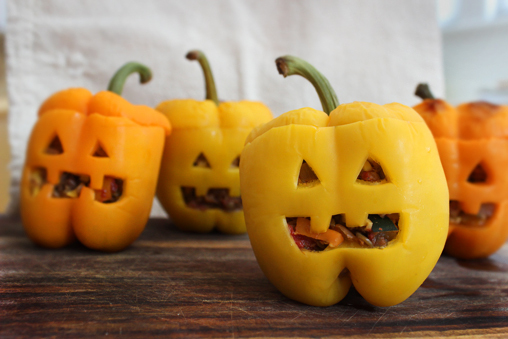 Small easy orange peelers are great party food also, and you can make these in to fake pumpkins by adding a slice cucmber on top. All super quick to make and most items you shold have at home,plus a great way of getting in your 1 of your 5 a day. Don't forget to make up a batch of my Pumpkin Spice Busicuits to serve up to.